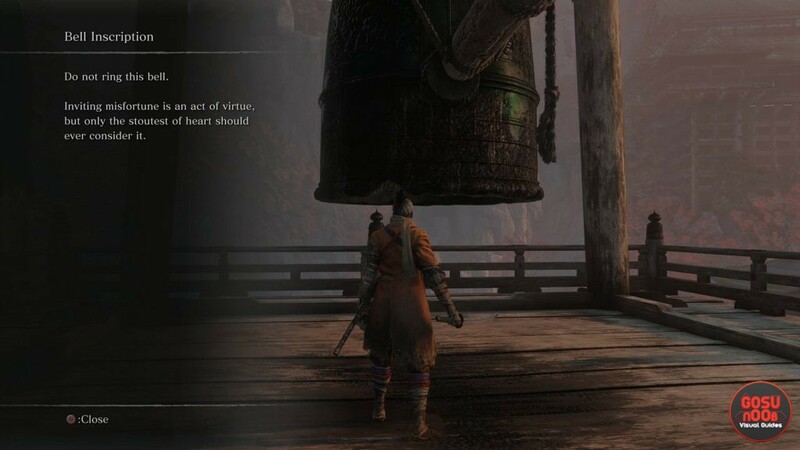 The Demon Bell in Sekiro is an object you can interact with, and many people have been wondering whether they should ring the Demon Bell, and what exactly it does. The Sekiro Demon Bell seems to promise great hardships, but it might also be offering some sort of reward. This is a From Software game, after all. So, that said, our Sekiro Demon Bell – Should I Ring the Bell – What Does it Do guide aims to explain what exactly happens when you ring the Demon Bell in Sekiro, how you can use it, and where to find the Demon Bell’s location. Demon Bell in Sekiro – What Happens When You Ring? When you ring the Sekiro Demon Bell, two things basically happen. You get an “item” called Bell Demon, and you get a specific kind of… buff, let’s call it. Both of these are a part of the Sinister Burden that you’ve just brought on yourself by ringing the bell. Essentially, the Bell Demon possesses you, and makes all enemies you encounter noticeably more difficult. However, the item description also mentions “slightly better spoils,” so not all is lost. If anything, the slightly better spoils thing is a bit of an understatement. With the Bell Demon on your back, fairly regular enemies can start dropping stuff like Scrap Magnetite, Scrap Iron, and even Divine Confetti. Just find a good place to farm (we chose the Ashina Castle Upper Tower Antechamber, for example, where you can also find a hidden chest). With only a bit of trouble and running to and fro from an idol to respawn enemies, you can grind out pretty decent amounts of valuable stuff. There’s also a way to get rid of the Bell Demon. When you’re done with it, all you have to do is find the Bell Demon in your inventory and use the item. The game will let you know that you’ve dispelled the burden, and all will return to normal. You’d think banishing a demon would be more work, but there you go. Where to Find Sekiro Demon Bell? To find the Demon Bell in Sekiro, you have to reach the Senpou Temple, Mt. Kongo region. In fact, the first Sculptor’s Idol you come across is called Bell Demon’s Temple. The entrance into this region can be found from the cave where you meet the Headless boss, which, in turn, you can get to from Ashina Outskirts. Look for a small guardhouse that has a poster warning you about the headless. Grapple onto the branch, then jump towards the cliff and grab onto the barely-visible ledge. Make your way around the ledge, and into the cave. Drop down into the lair of the Headless. Don’t mess with it unless you want to experience pain. Instead, look for a small passageway that you can just squeeze through and run away. When you come across the wall with an outline of a man, hug the wall to get to the other side. Kill the enemy, and head up into the sunlight. There’s the Bell Demon’s Temple idol, and the cursed bell itself.